This piece is dedicated to all the Cellulitis Warriors around the globe with lymphedema / lymphoedema. You know who you are. Those of you, like my father, that have been in the Intensive Care Unit maybe once, maybe multiple times from cellulitis. Whether you have survived 1 bout or 100, you know it is an experience you will never ever forget in your lifetime. It is also respectfully and prayerfully dedicated to anyone with LE who has lost their life due to cellulitis complications such as sepsis. May all Rest in Peace. The following is my personal account. It is purely anecdotal, and once again I’m not a medical professional. Everyone has a story though. This post is an attempt to inform from a patient perspective and to try to help spread awareness in the LE community specifically to the newly diagnosed. March is Lymphedema Awareness Month, and it’s not all butterflies and ribbons. If you are NEW to an LE diagnosis, it is imperative and critically important that you are aware that the more lymphatic congestion you accumulate, the higher the likelihood you have for acquiring cellulitis. Maybe you have never had cellulitis and have had lymphedema for decades. Good for you!! This is why we have a gold standard for treatment and why we have do’s and don’ts in place for LE as much as we all hate them. Yes, that includes me too. LE in and of itself is not lethal. The complications that can arise from the progression, however, can indeed be life threatening. One of those complications is cellulitis infection. Hopefully this is not the first warning you are reading about this. Also, inexplicably, some people are just prone to cellulitis despite their best efforts at management. No judgement here either way. So here we go. In 1984, my father Pete; the original Cellulitis Warrior in my life, came home from work and found me shaking from fever with my right leg red as an apple and a golf ball sized inguinal node. I had been scratched by a neighbor’s cat on my right forearm earlier that day after telling my Mom that I was going to lay down, because I didn’t feel good. He said “Rose (my Mom), she has cellulitis!” He wrapped me in several blankets and carried me to his truck and sped away to the ER. Didn’t even wait for her or bother to buckle me in. I distinctly remember him hiking up his pant leg to show his LE leg to the doctor on call and then Linda, another neighbor and head RN at that ER, showed up from off duty. Mom had called her. This was 1984. No social media outlets to ask questions. No internet obviously. 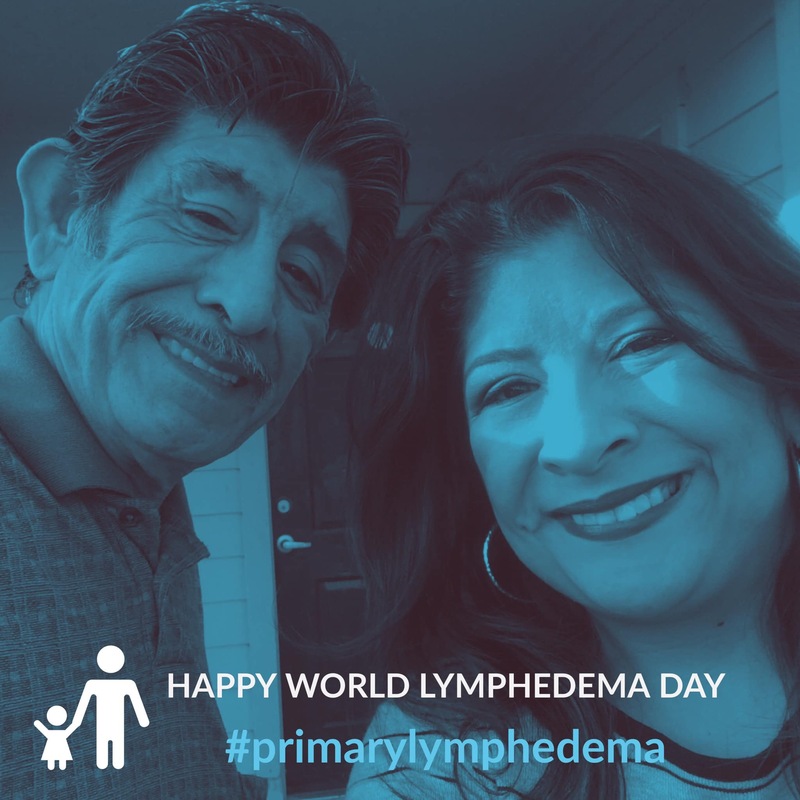 My Dad would not even be formally diagnosed with lymphedema until 14 years later in 1998. He didn’t even know the word lymphedema existed, but he knew CELLULITIS. You can get cellulitis without having lymphedema, which is why I cited the American Academy of Dermatology. Every doctor should, emphasis should, recognize it as a serious medical situation. I didn’t have LE yet though, which was why my Mother was completely baffled as to why what usually routinely happened to her husband was also happening to her daughter. Thankfully, that’s the last time I had cellulitis thanks to following all of his advice for over 3 decades. No barefoot walking, no hot tubs, etc etc. Things he had learned he picked up cellulitis from, he passed on to me to avoid. Just as he observed from caring for my grandfather. Oftentimes, I have felt like I have missed out on fun stuff. He suffered probably well over 100 bouts including one final bout about a week before he passed from cancer. I saw two IVs going in each arm in the ICU. I didn’t even know that was possible. This past weekend, however, was a horrific reminder of the darker side of this disease, and its potential to cause sepsis very quickly in the body and possibly death. And that yes, it could happen to me too. Fortunately, I was able to react quickly. Sadly, I broke my 33 year streak of being cellulitis free. Fast forward to 2018, last Friday in the wee hours of the morning I woke up to my left axillary and left inguinal lymph nodes throbbing. Yes, upper extremity this time too, which really freaked me out. You just have to roll with the punches as to where it decides to pop up! My nodes felt like bad toothaches in my body, and I had pain radiating up and down my left arm. Like pulsing shock waves. I felt an overall general sense of malaise. I shuffled to the bathroom mirror to check my skin and could not find redness, or any indication visually of cellulitis, but I felt out of sorts like I was about to come down with something. I woke up my husband and asked him to check my back, and the back of my arms. Nothing. He blew me off and said to go back to bed with Tylenol. Probably just a cold coming on. By morning I woke up with teeth chattering fever. Have you ever had teeth chattering fever? I think it’s one of the worst feelings in the world. You are (sometimes violently) shaking, but you can’t stop no matter how hard you try. It feels like it’s impossible to get warm. There’s probably a medical term for it that I don’t know. Chills just doesn’t seem adequate to describe this sensation. Dragged myself to the mirror again. Still no redness or anything visual. No coughing, no sneezing, or nasal drip. Just chills and fever. I piled on the blankets, popped some Tylenol, and tried to get warm and get my wits about me. I must of passed out, because I woke up and decided to go in to the ER based on sheer gut instinct. I had no visual proof of my symptoms other than I looked like crap, but I knew from experience as a 10 yr old what I felt and that I was in danger. When you think you have it, RULE #1 you are in a race against the clock! Time is of the essence as infection starts to spread through your body. This is not being melodramatic or over exaggeration. This is the real deal. Rule #2 Pack and Go! I didn’t even tell my husband I was leaving. In retrospect, I should not have done that, but I was on auto pilot for survival. I packed a go bag, grabbed my medical sheet one pager, and took off. Very much like my Dad did in 1984. Just like I watched my parents do multiple times throughout my childhood. Tires squealing out of the driveway in middle of night or day. It didn’t matter. My husband had never seen cellulitis in my family. I had neither the time nor the strength or energy to explain. It was 80 F in TX, and I had 2 shirts plus my Lymphie Strong hoodie and pajama fleece pants on with the thickest socks my husband owned. I don’t own socks anymore, because I always wear medical grade compression. What’s a medical one pager? If you don’t have one, make one now or the digital version of it. Doctors and intake medical staff love charts and data!! You hand them a paper with all of your info – name, age, weight, height, known medical conditions, current list of medications, any known allergies, past surgeries you have had, next of kin, your blood type if you know it, your religious preference if any, and if you have a living will. If you don’t have this paper, they will ask you all of this in rapid fire succession or you fill it out on long forms. I have a one pager mostly for my husband’s benefit. I had a binder for both my parents. Sometimes even armed with your one page info sheet, you pick the short straw and get a difficult doctor. Someone who doesn’t know much or nothing about lymphedema, or maybe knows some but just the basics. You are not alone. Or heck, maybe they are just having a bad day and haven’t eaten. Whatever the reason, be prepared. It is sooooo hard to advocate for yourself when you feel like passing out and are disoriented. My husband called wanting to know why I took off, and I said for them to stay at home to avoid picking up anything at the hospital like the FLU! Hospitals are cesspools and dangerous for people like us. I walked in the ER, and I said, “I think I have the beginning of cellulitis.” The ER staff prioritized me. Off to a good start. Registration was a breeze. Thanks to my trusty frequent flyer miles at lymphedema therapy within the same hospital system <cue eye roll here> , they scanned my palm, and I was in the system. Bam, registered! Then …. The doctor started her physical examination with her cold hands, and I was starting to lose focus. I hand her the one pager. My head was pounding like a jackhammer. I really thought I was going to faint. Me: All due respect doctor, I’m 43 yrs old and have had this 1/2 my life but my first bout was at age 10. We are in a race against time, and I’m trying to head this off at the pass. My PCP is booked today, or I wouldn’t be here. Me: My nodes are lit up like a Christmas tree. I know my body. 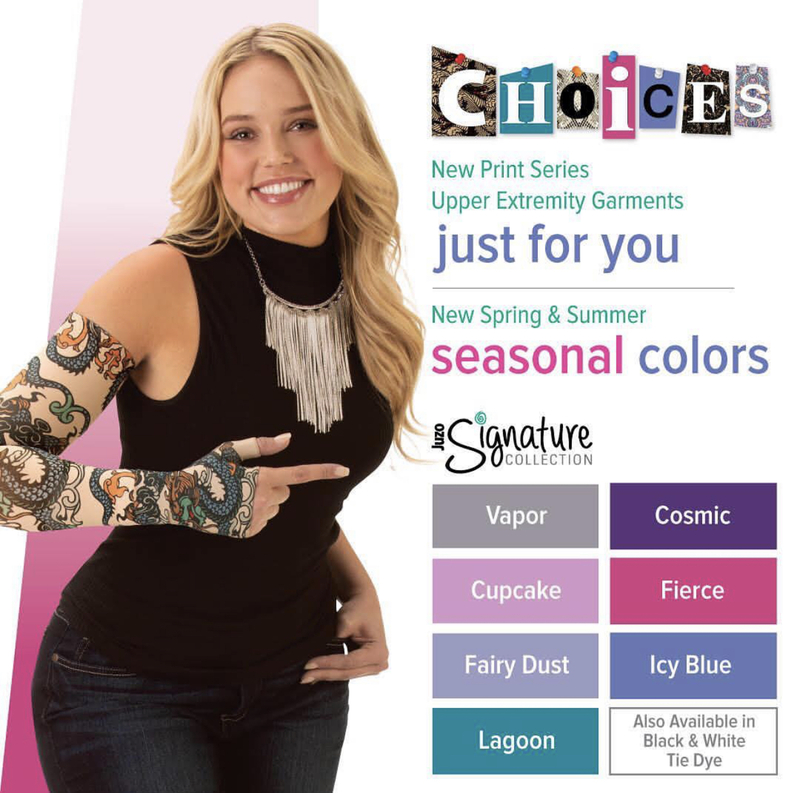 You have a couple of choices. You can send me home and wait for the golf ball to brew, in which case I’ll come back and waste time and money on both sides by ending up with a 2-3 day hospital stay. I already have the teeth chattering fever. Or…. you can run some blood work, confirm I’m right. Then either choose to write me a script or hook me up to an IV on antibiotics for a couple of hours. Maaaaybe avoid an admit? Nobody wants an admit here. Dr: Any chance you have the flu? Me: I haven’t had the flu in years, but hey I can always stand to be corrected. Dr. We will go the IV route. The flu test was negative and infection was confirmed. When the nurse wanted to start the IV, I asked her to do it on the right arm. No needles on the limb affected if you can help it. Almost a week later, I’m still far from 100% and still weak, but I saw my primary physician on Monday. I’m on the path to recovery and planning if future episodes strike. Read on for Symptoms and Tips and real world examples from fellow patients. If you have the rash on your skin, circle it with at NON-toxic marker. This way you know if it grows outside the border, it is spreading. DO NOT allow a doctor take a nasty sharp pen and write on you. It could easily poke you and potentially make matters worse. Probiotics are all the health rage these days, but in this case it’s a great idea to start one if you haven’t already to help control diarrhea and keep the good bacteria in your body. I asked the group on Facebook for examples of their cellulitis experiences. This is what they had to say in their own words. Fish slayer & cellulitis survivor!!!! Overall BADASS 😎 😎 😎 😎….. LOL. Justin missed hunting season due to a bout back in November. I’ve had cellulitis twice – both before LE ever showed up. The first time was after a lumbar disc fusion. There was no explanation, but I did go to the ER and got antibiotics and told to elevate it and hydrate well. Second time, I had what I thought was a spider bite or food poisoning. It was three days of jack hammer in my head, extremely high fever plus chills, body aches on steroids, and my body purged from every orifice. I literally could not keep a tsp of water down. Once it lifted, I peeled off the sweats I’d been living in the whole time, and discovered the rash on my leg. Went to immediate care, and they sent me to the ER. I was so dehydrated that after several nurses and techs failed to get an IV started, the ER Dr came in after an hour of trying, and put it in my jugular himself. They transported me by ambulance to a different branch of the hospital (that one became OB and peds after merging with another local hospital) – where I stayed four nights. I’ve since been hyper-vigilant and gone straight in at the first sign of a rash. I exfoliated with a loofa, after wearing an Unnaboot. The sec I saw red, I went in, but it was straight staph, not cellulitis. My advise is to be hyper-vigilant, do all the things advised about managing your disease, like hydration, skin care, wearing compression, MLD, etc – and avoid known risks. And don’t publish photos on FB asking if your homies (us) think it’s serious. If you have a suspicion, get the hell in YESTERDAY. My daughter Bri has had cellulitis 4 times and been hospitalized 4 times. 3 hospitalizations resulted in surgery. She has had 18 surgeries to date. She was hospitalized at age 2 for 3 weeks, age 8 for 2 3/4 months, 13 for 1 week, 13 for 1 month. On 2 of those trips, we almost lost her due to sepsis. She is my hero and my idol!!!!! I will love her and fight for her everyday that I am breathing!!! Cellulitis (many times pre-September 2009) is preferable to lymphangitis for my Lymphedema & overall health. Cellulitis, I have held mostly at bay through prophylaxis…since September 2009 – prior to that, I contracted cellulitis ~4-5 times per year. [This consulted regime forms part of my annual 7 March “celebration” of GAD – “Gratitude & Appreciation Day”…expressly thanking the Canadian, German & American expertise who informed it.] Lymphangitis, like MRSA, always has forced urgent & immediate hospitalized care & attention. Looking forward to seeing the piece, once available. Good luck with your recuperation, hoping it includes probiotics to replenish critically important ‘good’ gut bacteria likely decimated by your necessary treatment. Antibiotics do not discriminate, meaning replenishment is always essential after antibiotics medication…. Each & every case of LE is as unique as the individual it afflicts. As such, it requires attention, prescriptive care & case-specific treatment. I add this because, like LE which can/does generate infections, regardless of precaution(s) taken, cellulitis & other infections that can plague us, can & do manifest themselves differently (maybe subtly so) in different bodies. Once better informed (forewarned is forewarned …plus experienced), those with LE often sense better than other(s), when an infection is ‘brewing within’. Vern, your description of late bears that last point out, with a vivid, recent & excruciating example. Good health & healthy #RareDiseaseDay. 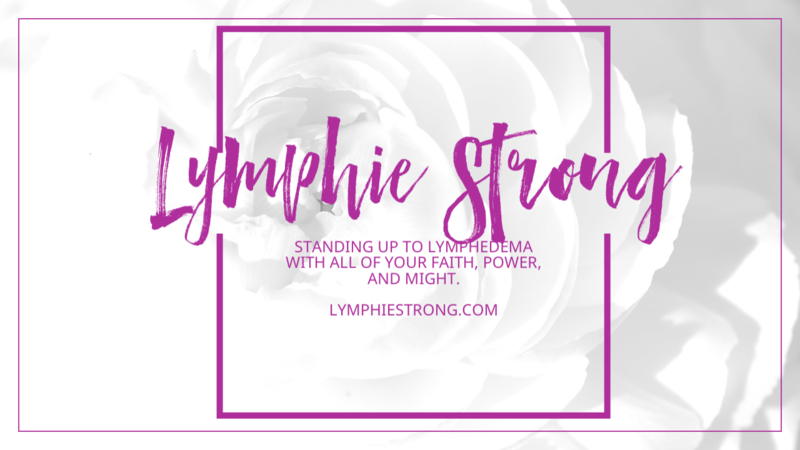 It’s Lymphedema Awareness Month. All of us here in the group want you to have a healthy and thriving lymphatic system. Be aware of your surroundings and be vigilant of your skin integrity and your environment. If we can help one person be aware of the dangers of cellulitis, then we’ve completed our mission. My Doctor has me keep antibiotics on hand at all times. That way if I had any symptoms I could start taking them right from the start. I also have read that many others keep medication on hand, just a tip I thought I would share. Wow, this almost exact story just happened to me!